while everybody else grows old. Your life is going to be great. if you say Merry Xmas. and you’ll be able to offend everybody. can get angry about Hanukkah and Kwanza. makes you stable and friendly. Martial Arts makes the world better. it’s about matrixing the samurai sword. and wish me a HanaKwanMass. Happy holiday workout to you…just wanted to say thank you for everything, it was a great first year with you and the matrix universe. your biggest fan and student. A Martial Artist’s Night Before Xmas! A Martial Arts Christmas Eve! A Martial Arts Night Before Xmas. I have to ask for my Xmas present. and I would love it if you could forgive me. but you know how that goes. is your poet Al Case. for the red fat attack. if the red fat did bleed. I’d blow him out of there. I knew a bad word. a bunch of ho hos. and heard a sound from the flu. and gave out a moan. and lead filled the air. I knew he felt that! he had to be dead. cause I saw his big frown. the big red fat rat! and to all a great work out. You Can Walk Through a War Zone with Martial Arts and Never Fight! One of the things I realized, after 22 years in the martial arts, which was almost 30 years ago, was that there must be a thought before there can be an action. Now, while you’re grokking that, let me take it to the logical conclusion: a fight cannot occur unless you make the decision that it can so occur. Lots of people are going to argue with this, but that is simply because they don’t see thought before action, and so can’t understand what I am saying. They have invested too much time in fighting, and not enough time in the martial arts. I have, just for the heck of it, walked through a riot without receiving a ding. Nor even a curse word, Nor even a bad look. I did this shortly after the Rodney King riots. I was simply curious concerning what had happened, but more important, I was curious about my ability to walk through a ‘war zone’ without being attacked. So I drove down to South Central Los Angeles, sauntered across Normandy and Florence (the flashpoint of the riots), drove around, got out and examined businesses that had been destroyed and so on. Simply, I hadn’t made the decision to get in a fight. Even if I had run into an insane person…I was safe. An insane person, you see, can’t have an effective thought (before an action). They can’t plan. Period. That is part of their insanity. And, to tell the truth, I had played with this concept before this occurrence. Once, in the army, I had a fellow stand in front of me, totally enraged, and tell me he was going to beat the holy you know what out of me. I said, “No thanks,” and watched him. He didn’t hit me, he just got madder, and louder, and finally some other fellow in the barracks got pissed at the noise and came over and fought him. While they were rolling around on the floor I went to the movies. Now, this brings us to the most important point of this little epistle. How do you reach the point of being able to make a decision, or not make a decision, concerning people beating you up? People who practice fighting, and think that that is martial arts, don’t see the thought before the action. They just get mad (frustrated) when I say things like what I have said here. 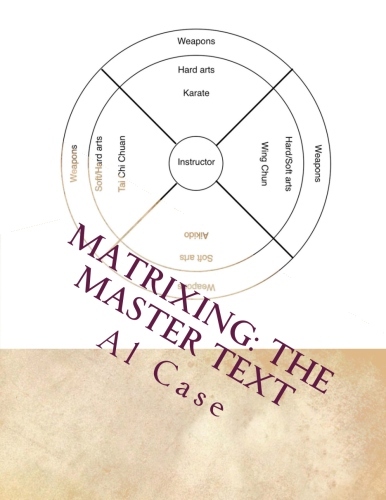 People who practice the martial arts, which includes forms (concepts) techniques (plans) and freestyle (translating perfection into chaos), can reach the point of being able to see the thought before the action. They usually don’t, however, because though their art is classical, it is random. Not logical. It hasn’t been matrixed. So the classicists who achieve this ability of being able to see the thought before an action are few and far between. They usually end up being virtually worshipped. If they make the decision to get worshipped. Usually they prefer to live a quiet life. It is just so much more efficient and pleasurable. When you matrix your art you put it in logical order. Never been done in any martial art in the history of the world. A few people have pushed concepts, and that tends to align an art, and that gives people a chance to break through. But the pushing of the concept usually dies with the founder, and the art becomes a legend, and the movements of the art become rote, then confused, then dispersed. That’s just the way it is. 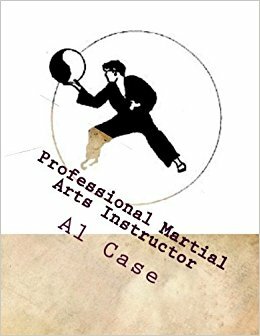 Logic brings one to a pinnacle, but without the concept of logic (which is different than the concepts in the martial arts) the art descends, and usually pretty rapidly. It is not uncommon to see an art self destruct within a generation of the death of the founder. So this matrixing thing, this logic, is of crucial importance. It will not only align your art, make it logical and intuitive, but it will safeguard against the destruction of your art. Watch, the simple drills and forms I developed through matrixing are going to be around forever. They can’t be improved on because they aren’t so much martial arts as a perfection of logic. People will discover them, do them, and find that, while they are an art unto themselves, and incredibly effective, the real joy is in seeing how the art one does, apart from Matrixing, suddenly rears its head and achieves the goals…and concepts…of the original founders. And, the only other thing I have to say on this matter is this: it is important to learn an art solely so one can create one’s own art. If one doesn’t create their own art, they really haven’t learned the martial arts. And all this, seeing the thought before the action, creating your own art, understanding the arts as one art, is only possible through learning the logic of matrixing. What is the Original Concept Behind the Martial Arts? Karate Improves Chances of Survival in a Real Fight! Karate Will Help You Survive a Real Fight! I came across these statistics about being in a real fight the other day, and they are pretty interesting. First, 80% of all real fights had a clear winner. This is interesting because it means that four out of five real fights were taken to the point where one person was incapacitated. 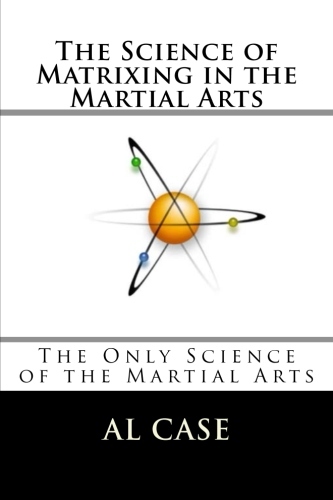 This means that people should be studying martial arts which are effective. Tournaments are fine, and one has to learn how to do kumite, but one also has to understand how real a confrontation can get. Karate may be the correct answer to this type of attack! 10% were broken up and 5% were outright draws. This means that once a real fight starts, it’s not likely that somebody is going to come and save you. Second, 10% ended up on the ground. Well, there goes the big hype for MMA and Jujitsu and the argument that combatants are likely to end up on the ground. This means that one would be better served by learning a stand up martial art like Karate or Kung Fu. 10% of real fighting started with a punch. But that means that 90% started with…a push? A weapon? something else? But not a kick, as we will see below. Again, the need for combat oriented karate or something that is specific to punching distance, yet adaptable to other types of attacks. 80% of first punches were with the right hand. And, follow this statistic up with the fact that 95% of the right hand punches were to the head. So you have to prepare for a right punch to the face. And, finally, only 10% of the fights had a kick in them. This statistic deals out Taekwondo. 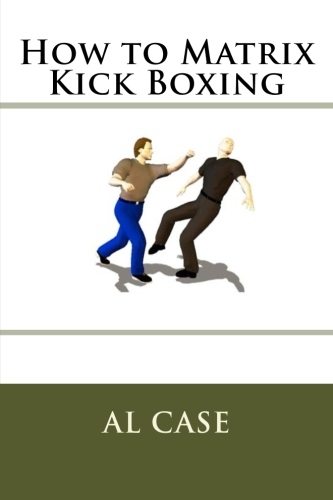 A fight can start with anything, but they don’t usually go to the ground, and they don’t contain much in the way of kicks. Thus, you need some knowledge of grappling and kicking, but not a lot. There is grappling and kicking in Karate, but not to the exclusion of other distances or ranges. These are the statistics of a real fight, not the rare atmosphere of the cage, or a tournament, or any other organized sort of match, and since the average person will get in three fights in his life, it behooves Joe Average to start a study of Karate. I say Karate because it deals with kicks, does have some ground work, but is heavy on fists and blocking punches. Makes it perfect for a street altercation. Probably the fastest and most efficient way to become competent enough to survive real fighting, be it on the street or anywhere, is at Learn Karate Online. You can get some Free Karate Lessons starting here.